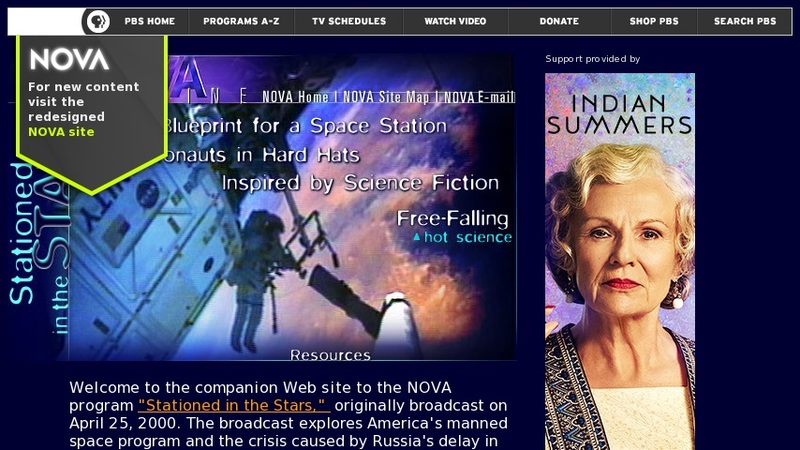 This website is part of NOVA Online, which is produced for the Public Broadcasting System (PBS) by the Science Unit at WGBH in Boston. This site accompanies the television program, and discusses the International Space Station (ISS): what it is, how the idea was formed, and what it will do. An interactive screen demonstrates the parts of the ISS with their function and where the part was made. There are videos and biographies of astronauts who will be serving on the ISS, activities about gravity and orbits, and links to additional resources. The accompanying video is available through mail order.